44 Players showed up to Kapiolani Hospital for the Hawaii State Open this year. 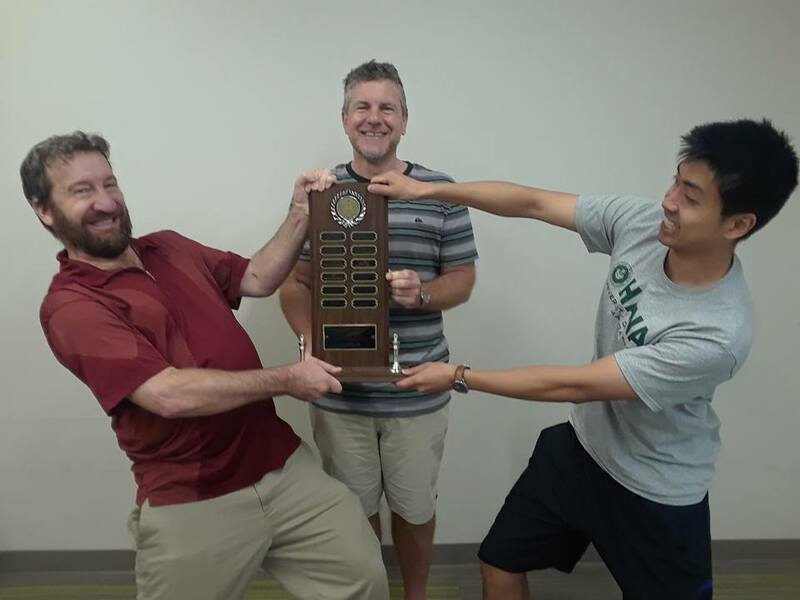 There was a 3 way tie for first, with now 11-time champion Cornelius Rubsamen (center) sharing this year’s title with Kauai’s Damian Nash (left) and Michael Omori, a UH graduate student. All three players scored 4/5. The reserve section was won by Patrick F. Perry, who scored a perfect 5/5. Paul Iinuma won the Blitz, scoring an impressive 12.5 / 14! Mahalo to everyone who came out and congrats to all the winners!